We love keeping you up to date! 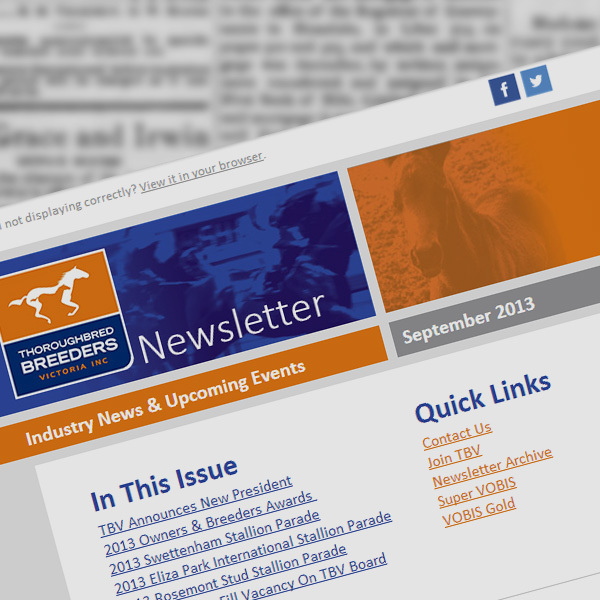 Receive recent and relevant Thoroughbred Industry information weekly with TBV Newsletters! Most Mondays we send out an editorial email newsletter with the latest industry news, TBV announcements and upcoming events you may be interested in thoroughly collected, written and edited by us exclusively for our readers. To subscribe to our newsletters and receive your weekly email, become a member of TBV!